Balakrishna took the decision of making biopic on his late father NTR when he visited Nimmakuru. As not to compromise on budget and other things, he along with couple of other producers produced the film. The team roped in many popular actors to play crucial roles and well-known technicians to work for the prestigious project. But, the problem lies with Balakrishna’s urgency to wrap up the film in short period to release it few months before general elections in Andhra Pradesh. Director Teja walked out of the project due to huge burden and pressure put on him by Balakrishna. Then, Krish came on board accepting the proposal of releasing the film inside the deadline. In hurry, things will not go off smoothly. So, the flurry had its effect on final product and end result of part 1- NTR Kathanayakudu which is ending as one of the biggest disasters. The flop result of NTR Kathanayakudu is not an insult just for Balakrishna and other makers, but for all the Telugus. Many expected NTR Biopic will make Telugus proud as NTR is a legendary personality who fought against central government for Telugu Aathma Gouravam. But, the way the first part was shaped up, it indicated that, the film was made only to benefit TDP in upcoming elections. Had they taken extra time and care on the project, it would have become a memorable film for Telugus. 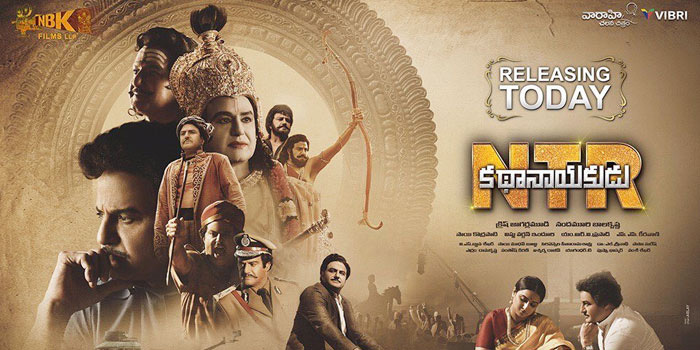 “When biopic on Savitri Mahanati which was made convincingly became a super hit, NTR Biopic would have become a sensational hit if right measures were taken during script writing and making stages,” say analysts. They advice the makers should re-check final product of NTR Mahanayakudu and if needed they should go for re-shoots. The second installment will be releasing on February 14th or 15th.